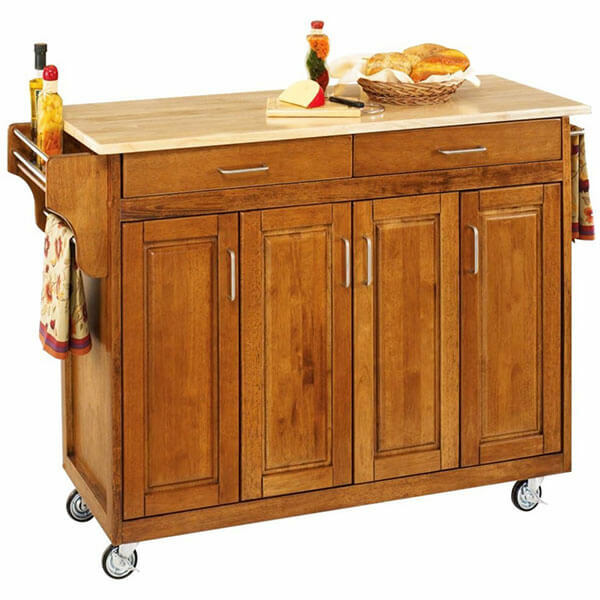 The Altra Wildwood Multi-Purpose Kitchen Cart is a spacious kitchen cart that can add functionality to your kitchen. There are two large general-purpose shelves as well as a single slatted shelf for wine bottles or other bottles as well as a convenient towel rack on one side. 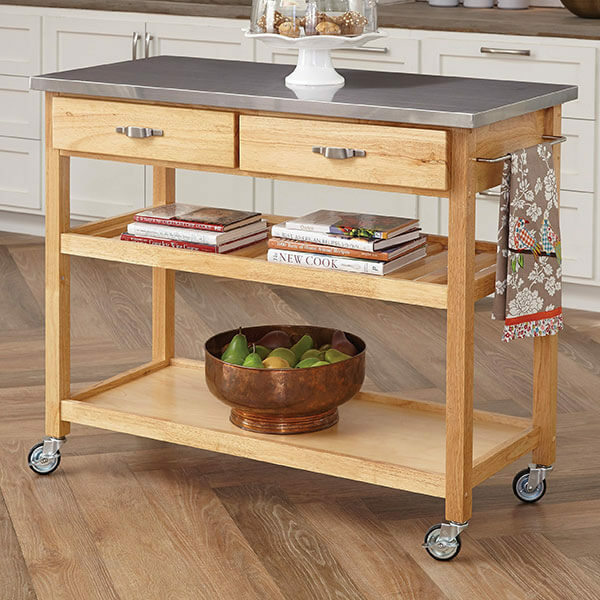 The SONGMICS Rustic 3-Tier Kitchen Cart is a sleek and modern kitchen cart. It is made out of environmentally friendly P2 particle board that has been given a wood grain appearance. It is both water proof and wear resistant. This unit can hold up to 350 pounds. 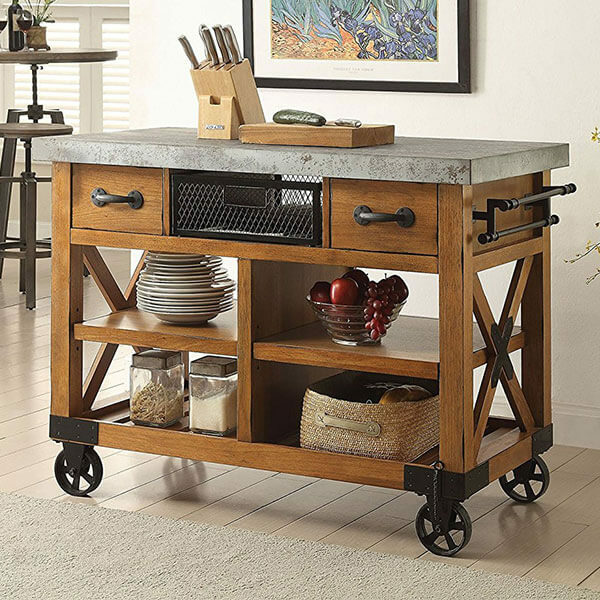 Coastal and chic, the Boraam Sonoma Wire-Brush Kitchen Cart is a durable kitchen cart that has been given a durable stainless steel counter top. There are two storage drawers that come complete with useful metal gliders. A mixed storage shelf that is adjustable is located in the middle. 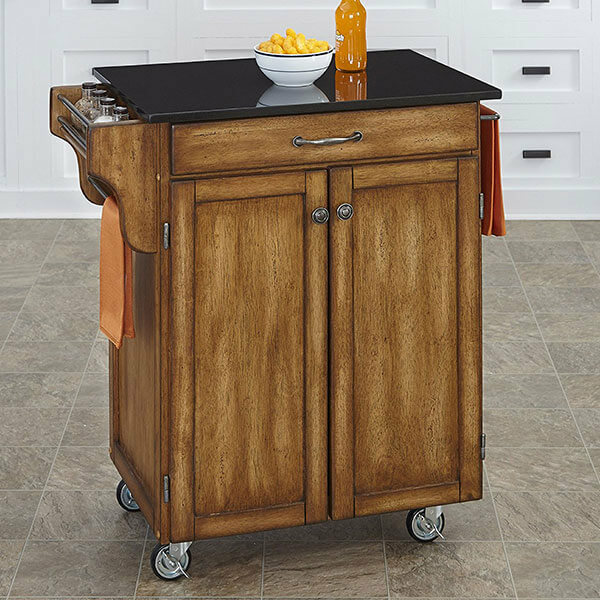 The Whalen Santa Fe Kitchen Cart adds style and mobility to your kitchen. This unit features two concealed drawers at the top. In the center is a general purpose rack, while at the bottom, you will be able to store wine bottles. The ACME Furniture Caitlin Kitchen Cart is an industrial-style kitchen cart for your modern kitchen. There is a wine bottle and glass rack that makes it perfect for entertaining. It has a metal frame and is made with a black finish. Included caster wheels make it easy to move the unit around. 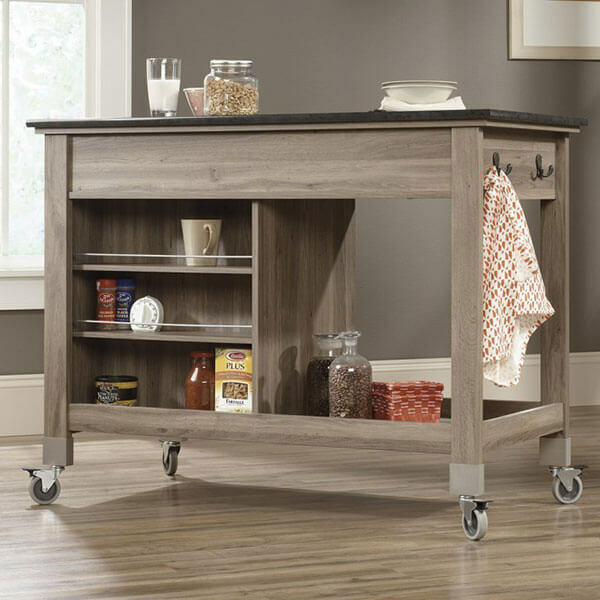 With the Marlijo Warm Brown Kitchen Cart, you are getting rustic style and functionality all at once. 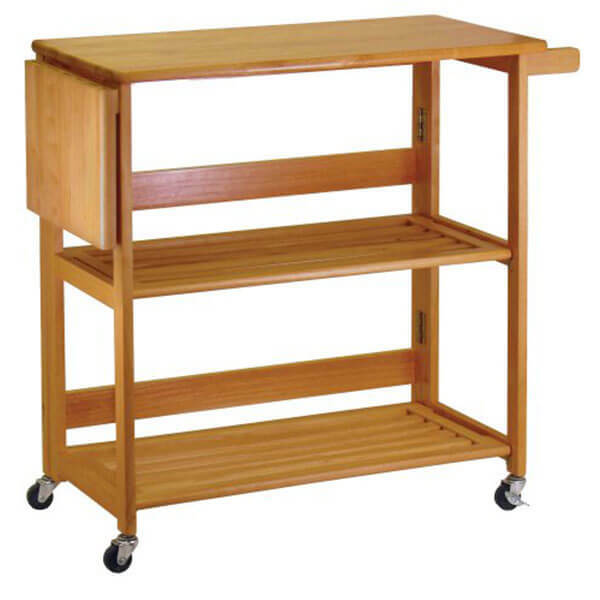 This kitchen cart is made with pine solids and pine veneers. It has a warm brown finish and a framed countertop made out of concrete. Lockable caster wheels finish off the design.